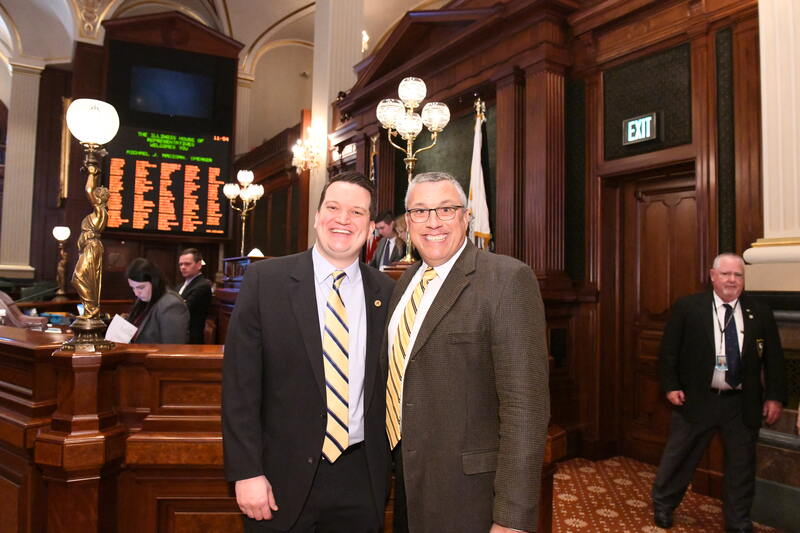 Rep. Andrew Chesney & Pastor Mike Jones on Illinois House floor on Tuesday. Pastor Mike Jones of Bethel United Methodist Church in Shannon, IL gave the Invocation before the Illinois House Session on Tuesday, March 26, 2019. Pastor Jones gave an uplifting message to start the Session Day at the invitation of Rep. Andrew Chesney.